Queen Square, designed by John Wood, was the first Georgian Square to be built in Bath, completed in 1726. It is recognised as the cradle of Bath’s Georgian town planning masterpiece, at the heart of its Outstanding World Heritage Universal Values. Despite its international significance, the square has been in a state of gradual decline during the last 50 or so years. From 2012 Place led a small multi-disciplinary partnership of local practices in engaging with the various communities linked to Queen Square to generate an agreed vision and phased improvement plan. This was embraced by B&NES Council, which supported enabling planning work and committed £100,000 in 2014 to restore the Square’s historic gateways and paths. Whilst not a large project, with Place Studio’s coordination, it drew strongly from the residents and users of the square who were actively involved in the design process. 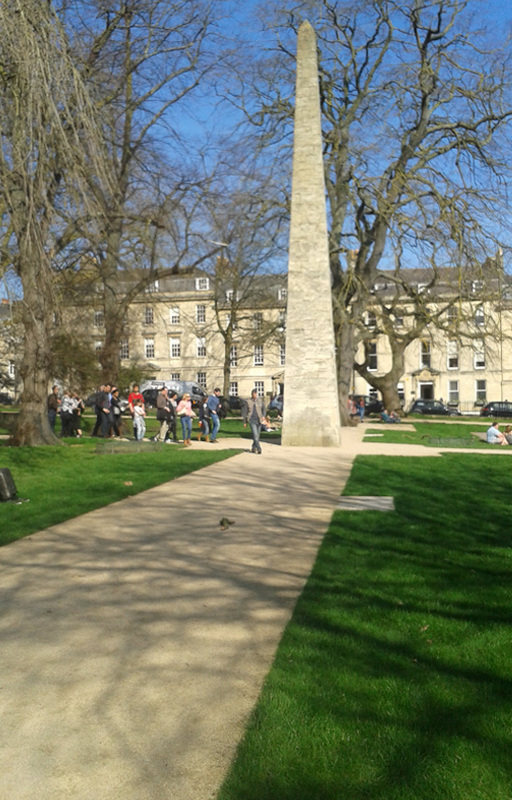 In December 2014 Place Studio celebrated the completion of phase 1 of the rejuvenation of Queen Square with its community and Bath and North East Somerset Council after we successfully led the collaborative conservation and repair of its Georgian landscape, including agreement to introduce temporary road closures to enable events round the square. It introduced a new successful and collaborative approach to delivering public realm investments.